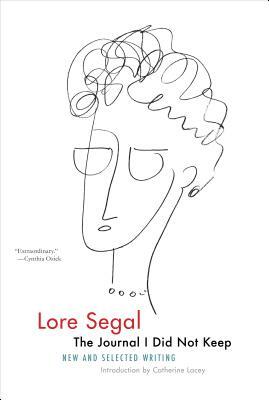 Admired for “a voice unlike any other” (Cynthia Ozick) and a style both “wry and poignant” (The New Yorker), Lore Segal long ago established herself as a masterful literary stylist. Selecting from her essays, novels, New Yorker stories, and more, this volume is a feast for fiction and memoir lovers alike — and a glorious opportunity to savor her distinctive body of work over the course of a long career. LORE SEGAL is the author of the Pulitzer Prize finalist Shakespeare's Kitchen, as well as the novels Half the Kingdom, Lucinella, Other People's Houses and Her First American. She is the recipient of the American Academy and the Institutes of Arts and Letters Award, a Guggenheim Fellowship, The O'Henry Prize and the Harold U. Ribalow Prize. She has written for The New Yorker, The New York Times, Harper's Magazine, The New Republic, and numerous other publications. She also writes children's books and translates from the German. Now 91-years-old, Segal lives and works in New York City.